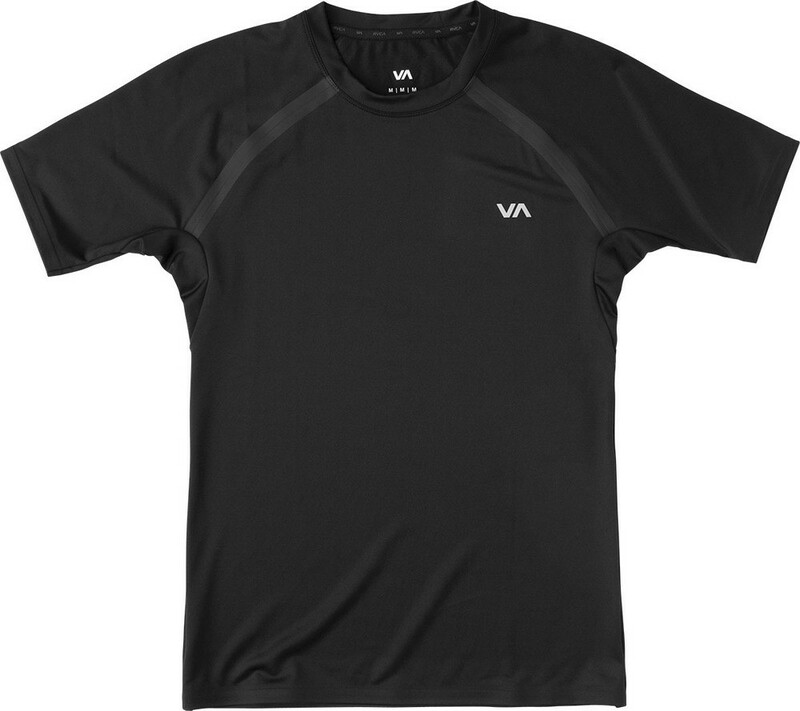 The RVCA VA Sport Compression is a short sleeve compression top with a matte finish, made from an overdye heather fabric. This RVCA rashguard has bonded raglan seams/no seam stretch details, as well as minimal seam allowance details for less chafe. This top also features Bac Out anti-microbial, moisture wicking, and anti odor qualities.